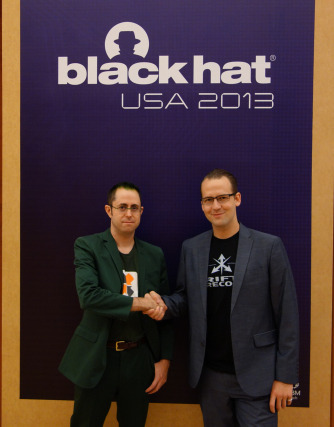 Today at BlackHat USA 2013, Rift Recon and Exploit Hub jointly announced and launched the new ExploitHub Hardware Initiative. We’re excited to share the news; Rift will be exclusively curating and developing ExploitHub’s new Hardware section - the Hardware Initiative includes two new categories in ExploitHub’s marketplace for Hardware, and associated Firmware, respectively. “By partnering with Rift Recon, who specialize in development, curation, and testing of physical exploitation tools and devices, we intend to expand the ExploitHub marketplace into the physical realm and provide customers who engage in penetration testing activities options when it comes to subverting or attacking physical security systems or devices. With ExploitHub’s experience in bringing exceptional talent and helping secure enterprises by bringing non-0day exploits to the market, Rift Recon will be bringing products to market that have been previously difficult to find, occasionally unavailable, worryingly unverified or unreliable, or simply existed only on the wish lists of security professionals worldwide. Not anymore. We’re going to be announcing new products and services immediately, beginning with our Red Team Kit version 1 or RTKv1. To find out more about our partnership and details about ExploitHub’s exciting new Hardware Initiative, read ExploitHub and Rift Recon’s joint, full press release.